1. Why Kavanaugh not Gorsuch? Gorsuch replaced the conservative Scalia. When the conservative Judge Clarence Thomas was proposed to replace the liberal Thurgood Marshall, there was an awful, divisive fight in 1991. Prior to that, in 1987, when President Reagan nominated the conservative Robert Bork to replace Justice Lewis Powell, who had voted for Roe v. Wade, the fight was on. Kennedy wrote the gay marriage decision hence the ugly fight over Kavanaugh. Expect the same in the future. 2. Effect on the Midterms. Democrats were already motivated. Republican motivation was suspect. This fight has probably increased turnout for both. Republicans will benefit in the Senate races in the red states: North Dakota, Missouri and Indiana. Democrats will benefit in House races, which could draw them closer to retaking the House. 3. Democrats are the intensely negative party. 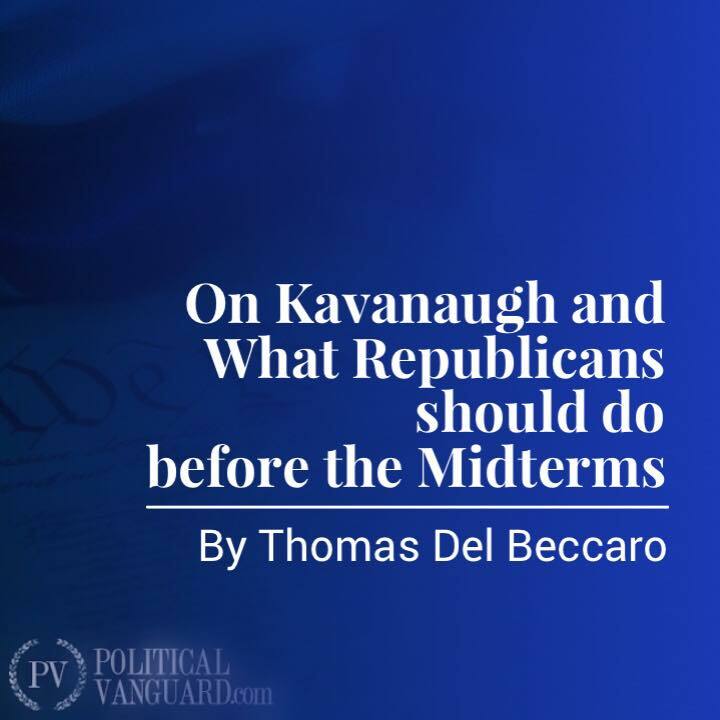 When certain Democrats said they would look to impeach Kavanaugh, which sits on top of their standing threat to Trump, you know they have become the party of intense political negativity. They are serving the most radical elements of their party with little pretense of wanting to govern. Republicans should campaign on the promise of (a) tax reform 2.0, (b) increased access to health care insurance, and (c) continued immigration reform. They need to contrast Democrat socialism and negativity with the promise of improving the lives of Americans.